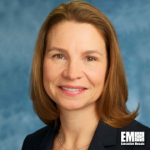 Gabrielle Batkin, a former senior Senate staffer with more than two decades of congressional experience, has joined Northrop Grumman (NYSE: NOC) as vice president of legislative affairs. She will lead the company’s interactions with Congress and related organizations, including efforts to promote its legislative agenda on Capitol Hill, Northrop said Monday. Lesley Kalan, corporate VP of government relations at Northrop, said Batkin brings management experience as the company works to inform Congress about its products and services. Batkin previously held staff director roles at the Senate Environment and Public Works Committee and the Senate Homeland Security and Governmental Affairs Committee. She also worked as deputy staff director of the Senate Appropriations Committee, where she advised lawmakers and their staff members on budget and policy matters for 13 years.